Here are some common questions about RapidStartCRM. Why does it say $40 for your "Free" app? RapidStartCRM is a custom application we developed, that runs on top of a paid Microsoft License. $40/User/Month is the cost of the underlying Microsoft P2 license (We asked them to make it Free, but they said “No”) ☹️. We install our RapidStartCRM app for no additional charge when you buy your licenses from us. So “our” app is free to you. When you buy your licenses from us, Microsoft tosses us a couple of bucks for each one. To cover our costs of administration, we calculated we needed 5 X couple of bucks. What is the difference in cost if we buy our licenses from you? There is no difference in cost, whether you buy the licenses from us, another partner or directly from Microsoft. $40 bucks is the price. Why am I hearing a lot higher license costs from Microsoft and other partners? You are probably hearing about costs for the full Microsoft Dynamics 365 Enterprise Apps. While everybody else would prefer that you buy those more expensive licenses, RapidStartCRM was designed to run on what is called the PowerApps P2 “platform” license, which is only $40. Microsoft recently separated their own first-party apps (Sales, Service, etc.) from the Platform that they run on, and made that same platform available for ISVs like us to build on. It’s one of those Win-Win situations. Can you explain this "Platform" in layperson's terms? Sure, imagine that the “Platform” is a $40 hamburger. Any of Microsoft’s first-party apps, like for example, Enterprise Sales, adds a very thick slab of cheese to that hamburger for an additional $55. Alternatively, RapidStartCRM Base adds a very thin slice of cheese to that hamburger for free. If you ever outgrow RapidStartCRM, you can opt to have our free slice, replaced with their $55 slab, on the same hamburger. The hamburger itself, would not have to be replaced. We call this “cheese swapping” an “Upgrade”. What is the difference between RapidStartCRM Base and your other Apps? RapidStartCRM is our “Starter” app for any business that wants to move up from Outlook and Spreadsheets, to Microsoft Business Applications. It is focused on Prospects, Contacts, Companies, Opportunities and Cases. It is designed as a “general purpose” solution for the most common business model and is not specific to a particular industry. In addition, we have built both “industry specific” and “business model specific” applications using our RapidStartCRM foundation as the core. For example, our RapidStartCRM Homebuilder, which addresses the industry specific needs of a Production Homebuilder Organization. As another example, for customers whose business model is specific to Referrals, we built our RapidStartCRM Referral, a business model specific version that addresses the unique needs of the Referral business model. We have many other “industry specific” and “business model specific” applications in our pipeline. Feel free to reach out about yours, and maybe we will build it! What are the Addons for and are they required? In addition to our RapidStartCRM apps, we are continuing to build Addons for easily extending your RapidStartCRM app’s functionality. Some of these Addons can be added to any Dynamics 365 application, and some are specifically designed for our RapidStartCRM apps. For example, our RapidHashtags addon can be purchased separately and installed on any Dynamics 365 application. Note: RapidHashtags is included in all of our RapidStartCRM Applications. Another example is our RapidStripe Addon, our Stripe Payment Processing solution. 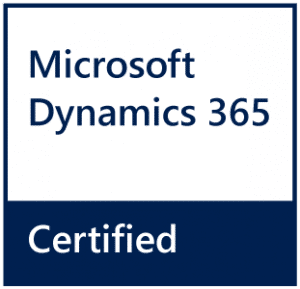 This can be also be purchased separately, and added to any Dynamics 365 Application, as well as any of our RapidStartCRM apps. We have many other “Addons” in our pipeline. Feel free to reach out about your Addon needs, and maybe we will build it! What exactly is RapidStartCRM in Microsoft technical terms? RapidStartCRM is a Model-Driven PowerApp built on Microsoft’s Common Data Service (CDS) platform. CDS is the same platform that Microsoft’s first-party apps, like Enterprise Sales or Service, are also built on. What if RapidStartCRM is close to my needs, but not perfect? Every business is different. That’s why all of our RapidStartCRM apps, including the purpose-built industry ones, are fully extendable/customizable. Depending on how technical you are, you can customize them yourself. But we know that many customers will not have the time, or interest, in learning how to customize themselves, so we offer our RapidLABS services for exactly that purpose. What if I already have licenses? In our perfect world, you would cancel them and buy them from us instead, there is no cost difference. But we know that many customers may already have licensing arrangements that they don’t want to change. For just those situations, we also offer all of our apps as an “App-Only” option. All of our RapidStartCRM apps can be installed by our team on your existing licenses. Of course, in this scenario we won’t be getting that couple of bucks from Microsoft, so we can’t give you our “Free App” for Free anymore. Also, our paid apps have different pricing for “App-Only” as well. You can review the prices in our store. Doing the math, it appears this will cost more if I already have my licenses? Yes. You are very good at math! As part of placing an order on our store site, you will be asked to create an account and provide a credit card. We have a fully PCI compliant process utilizing Stripe. You can review the Stripe Security here. No credit card information is ever shared with us directly. We offer invoice terms to Enterprise customers only. The recurring subscription date for all subscriptions is the first of each month. All new subscriptions are pro-rated at the time you make your purchase, so your first payment may be lower. On the My Account page on our store, you can update the credit card used at any time. If RapidStartCRM does not work for us, can I cancel? First of all, we’ll be terribly upset. But, you can absolutely cancel. From your My Account page on our store, you can cancel any or all services at any time, and any future charges will stop. The Microsoft licenses will be removed at the end of your paid cycle. We are not able to provide any refunds for charges that already occurred.